High-stakes online cash game grinder out of The Netherlands, Carlo ‘Ravenswood13’ van Ravenswoud ran hot in the PokerStars 8-Game Mix and Pot Limit Omaha games to lead the list of overall winners in online cash for the month of October, according to data tracked by Highstakesdb.com. Over the course of 7888 hands ‘Ravenswood13’ would churn out a $322,147 profit, by far the most for the month. The uptick helped push him into the top five overall profiteers for 2017 thus far as well as help him eclipse the $1 million mark in earnings. Sitting in the number two spot for the month, is the man who occupied the number one spot last month, online nosebleed beast Timofey ‘Trueteller’ Kuznetsov. While Kuznetsov didn’t quite pull in the mountain of cash he did in September, his $201,858 in pure profit was largely due to his early month Pot Limit Omaha heater which had him up nearly a quarter-of-a-million. A downswing in NLHE towards the end of the month mitigated his profit though, as he endured a one-day, nearly $75,000 downswing in the game. Still, despite giving some back, he still ended up and remains the current number one 2017 cash game winner to date. The as-of-yet identified high stakes mainstay‘JayP-AA’ topped 10,000 hands en route to his $186,354 October earnings. For the better part of the year, ‘JayP-AA’ had been treading water in shallow negative territory – then came early October. With a graph spike that basically goes straight up in the first few days of the month, the PLO specialist dug himself out of his -$60,000 hole and into celebration territory. The heater sent him on a $500,000 upswing, and despite some late October give-back ‘JayP-AA’ still earned his third-place spot and currently sits in the Top 10 of 2017 overall winners. While ‘JayP-AA’ may be anonymous, October’s fourth-ranked winner is far from it. Viktor ‘Isildur1’ Blom, generally considered to be one of the sickest, take-all-comers in the high stakes world added to his already profitable year with a $157,434 pickup. Rebounding off an early October slide, Blom fought the majority of his battles in the 8-Game mix, oftentimes warring while high stakes pro ‘RaulGonzales’. In September, ‘RaulGonzalez’ bested Blom for a hefty sum but October saw the tables turn. Blom books the monthly win while ‘RaulGonzalez’ ended up over $300,000 in the hole for the month. 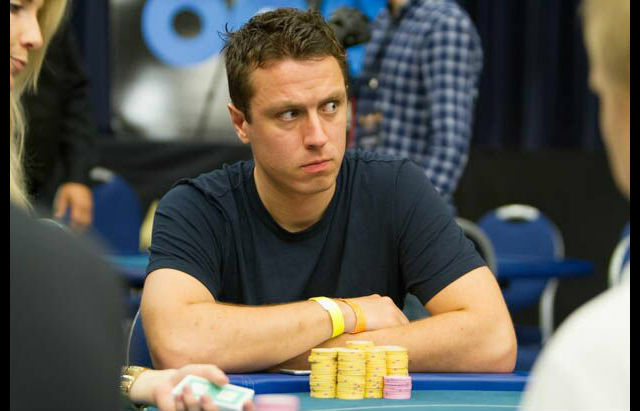 Blom currently sits in third on the 2017 overall winners, having played over an astounding 164,000 hands to date. Tom ’tjbentham’ Bentham completes the top five for the month, having played nearly 200 sessions in a busy October for the Englishman. Spending all his time on the Pot Limit Omaha tables, Bentham hovered in light positive territory for the majority of the month. Then, right at the end of the month Bentham went on a one-day $50,000 run helping him book just over $125,000 in profit. His run helped him pull his year out of negative territory.